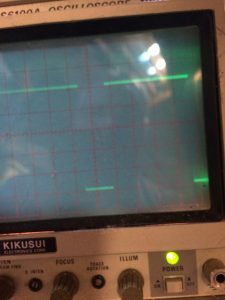 This post follows on from the last post where I explained the issue I was having when attempting to use the digital display from the XJR6. The display was showing the mileage then FLUID and AIRBAG messages. Having shorted the appropriate input to ground for the engine coolant sensor the FLUID message went away leaving me with the AIRBAG message to resolve. I tried shorting to ground or +B on the appropriate input but nothing seemed to clear the message. 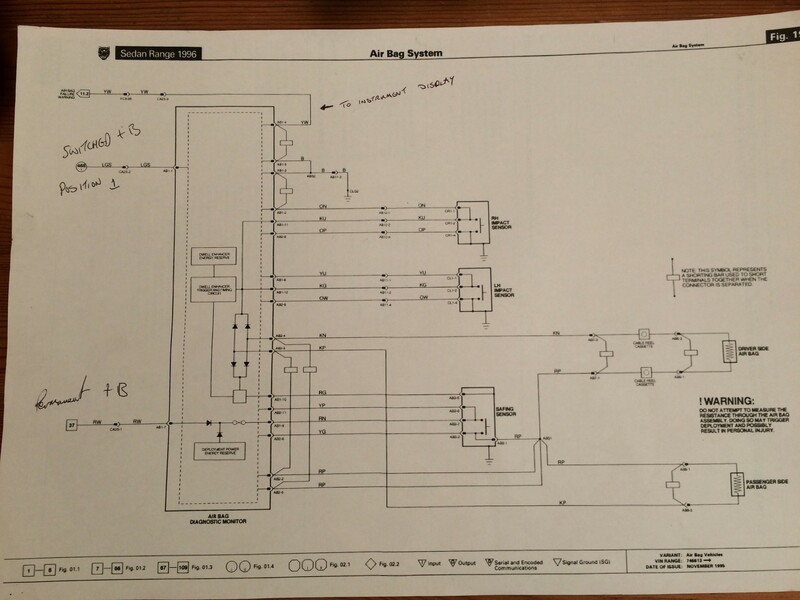 A photo of the Airbag circuit diagram is below, click for a larger version. Since that time I have done a little more debugging. 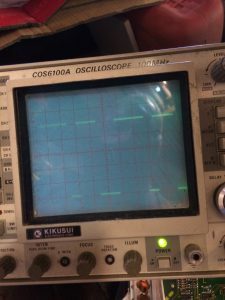 I proved that the feed to the main processor in the instrument circuit was receiving different signals depending on the status of the signal that should come from the Airbag Module. 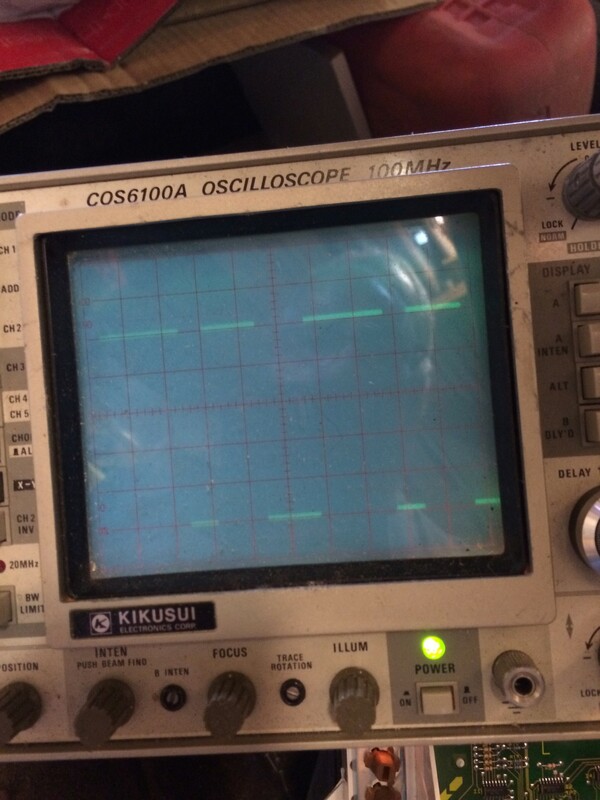 The Instrument display circuit, therefore appears to be receiving the appropriate signals to turn off the error message but it is not. 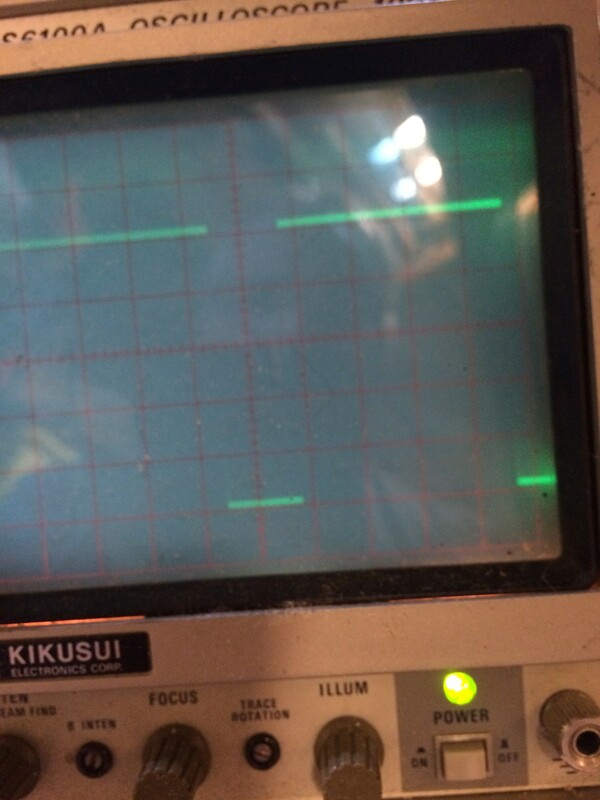 The signals on the “Y” output of the HC151 chips looked like below with the signal grounded or at +B so you can see there is a difference and it was being propagated through the circuit board. The Airbag module has a single output signal (Airbag Failure Warning, connector AB1, pin 4). The manual states this is either ground or +B. It does not have any other connections to the CAN bus or directly to any other module. The only connections are to the two impact sensors, the Safing sensor and the airbags themselves. Doing a little research, it appears that Airbags have a resistance of around 2-3 Ohms each. This should be replicated rather than actually connecting the Airbags to the module along with the potential safety implications! I still have the full Airbag system wiring loom along with one of the impact sensors and the Safing module. 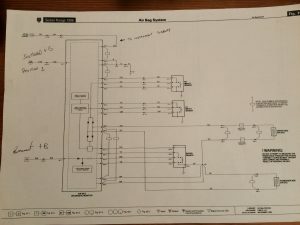 I will use this as the test setup and fake the actual airbag connections to identify what the “Selftest Pass” signal looks like. I will not use the digital display from the XJR6 to provide a milometer and use something else like a GPS based milometer instead. Next post when I have solved it or given up!